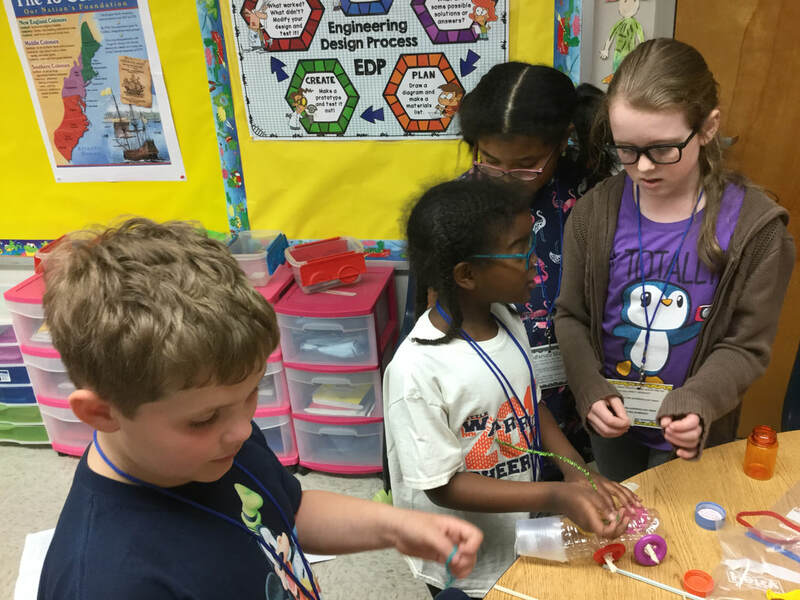 View Powerpoint for an detailed description of BSI STEM Days. 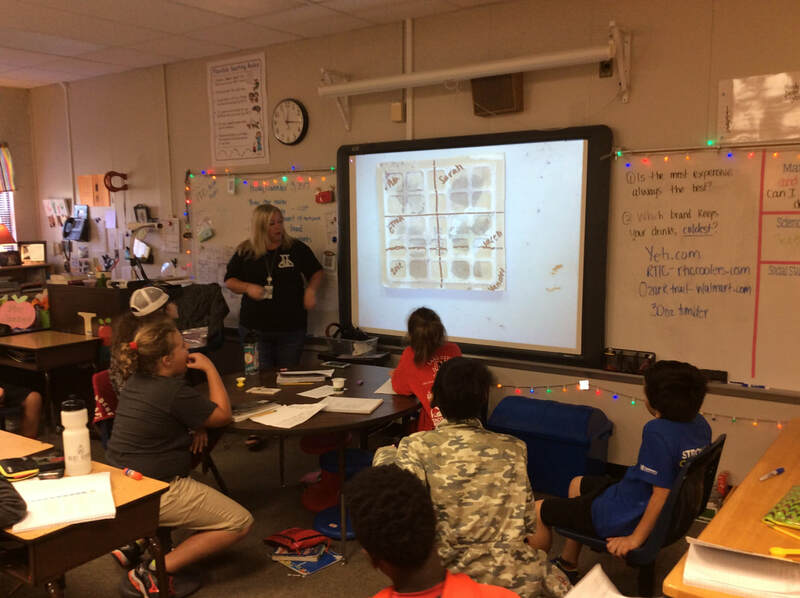 STEM DAY 1 (9/1/17): On STEM Days the entire school is focused on solving STEM Challenges correlated to the science and math standards they are learning that quarter. 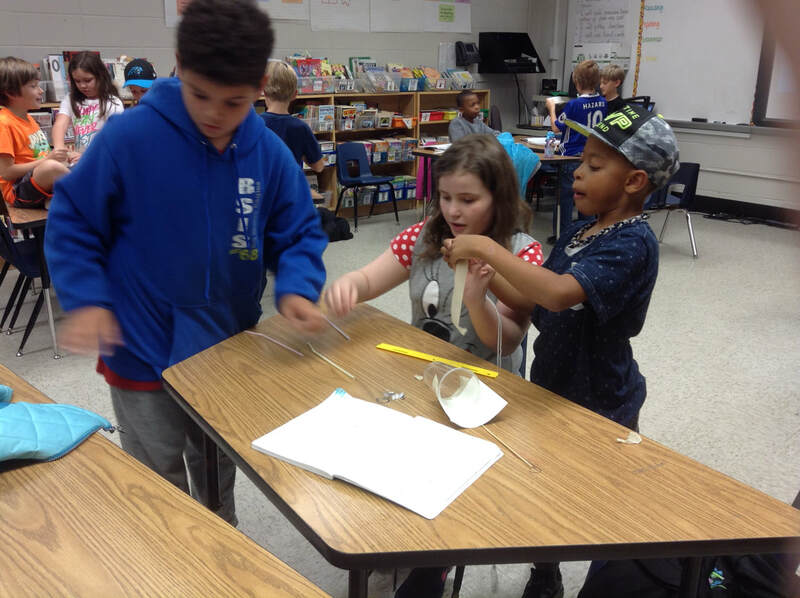 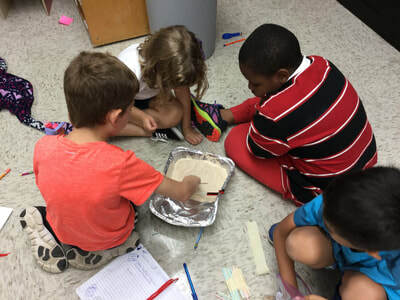 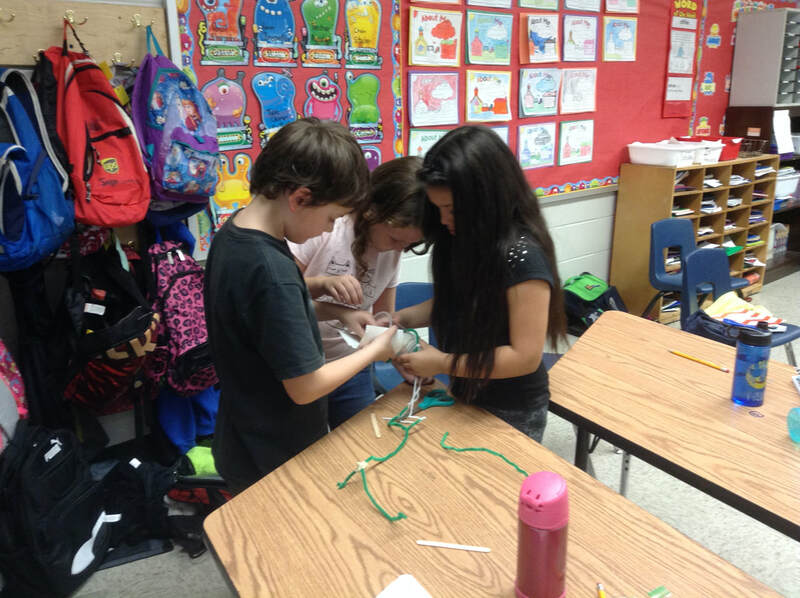 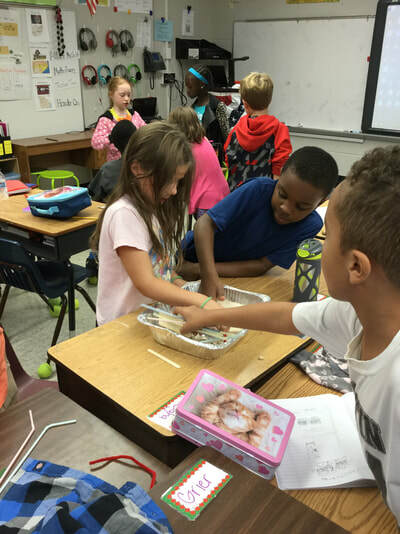 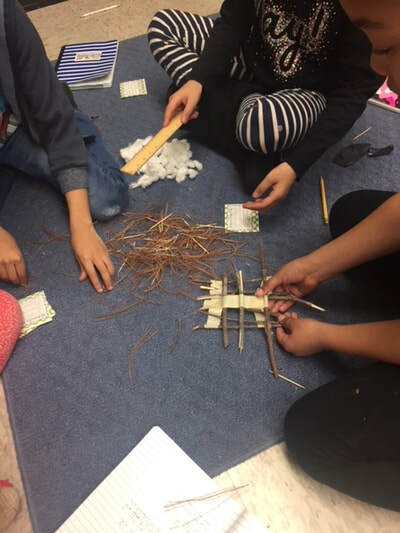 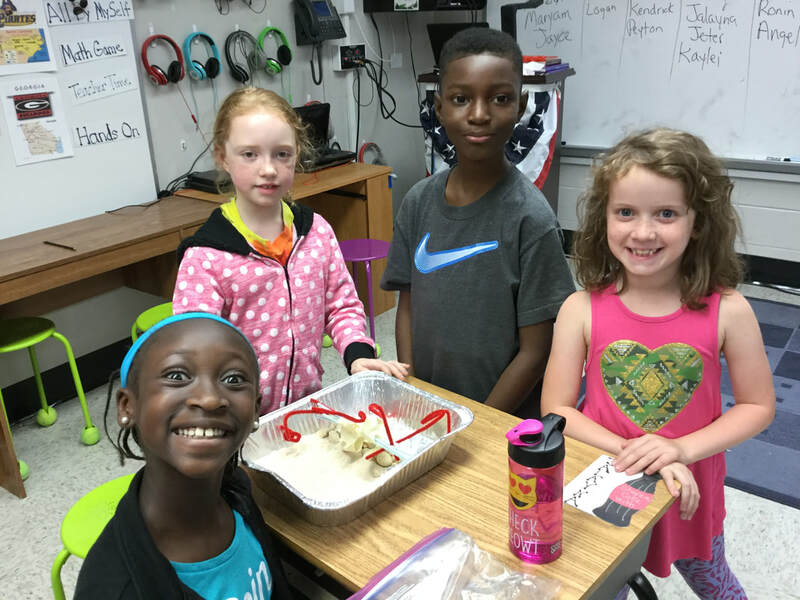 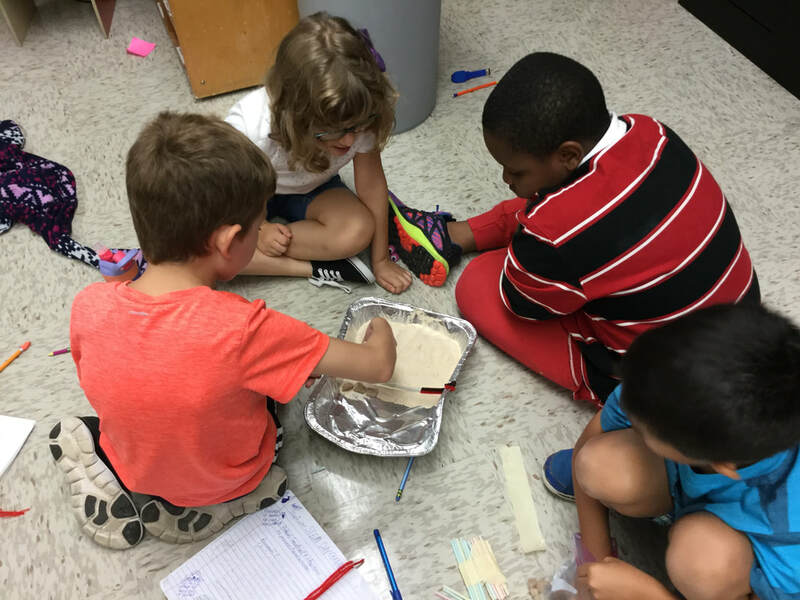 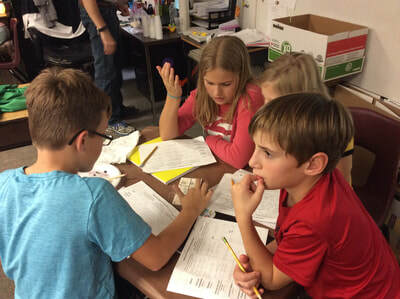 Third Grade: ​The farmers of STEM Town are having a lot of trouble with wind erosion on their farms. 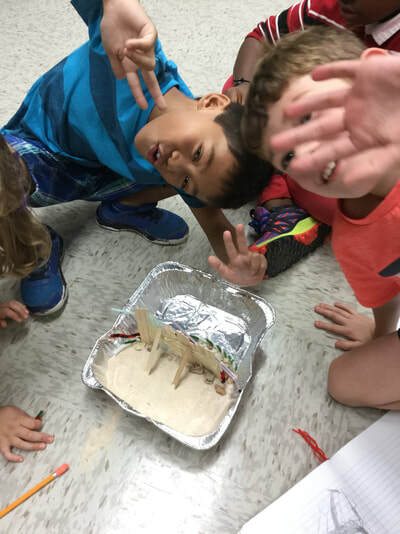 Your job is to construct a structure that will prevent as much erosion as possible when “wind” is blown on the land for 10 seconds. 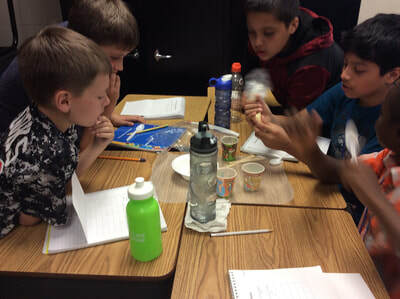 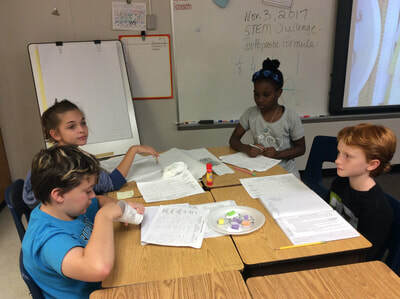 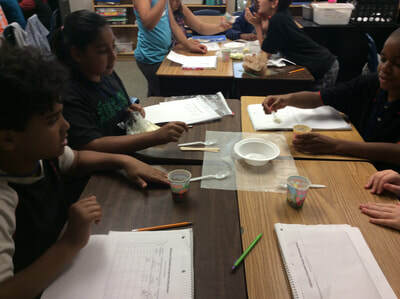 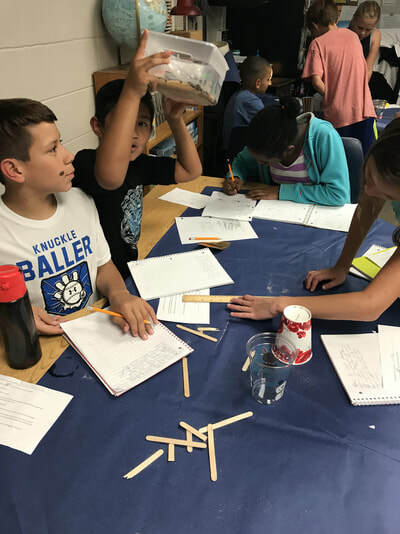 Fourth Grade: How can we use our knowledge of the water cycle and the states of water to engineer an inexpensive device which will collect water from clouds so we can get water to dry areas? 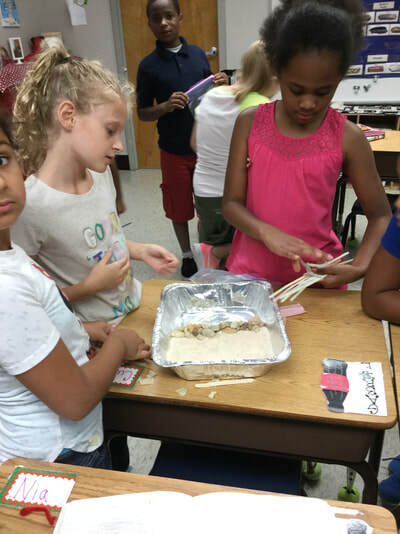 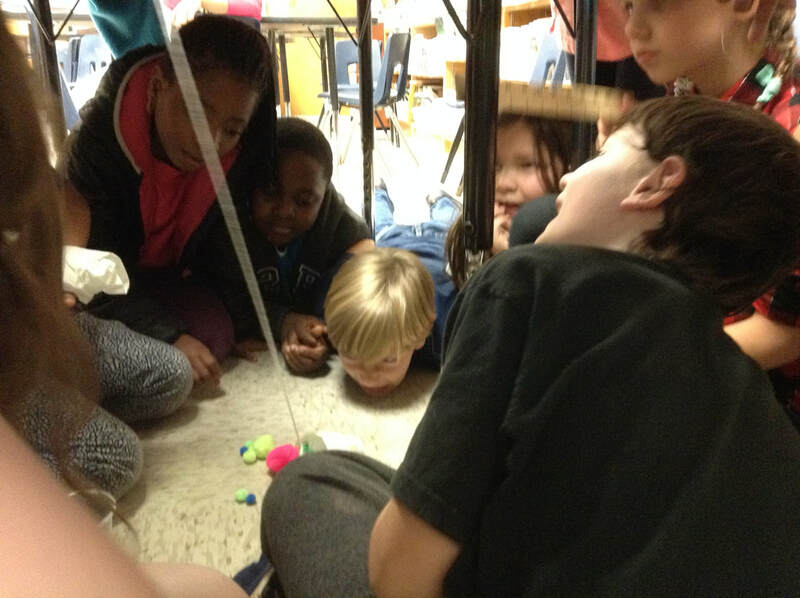 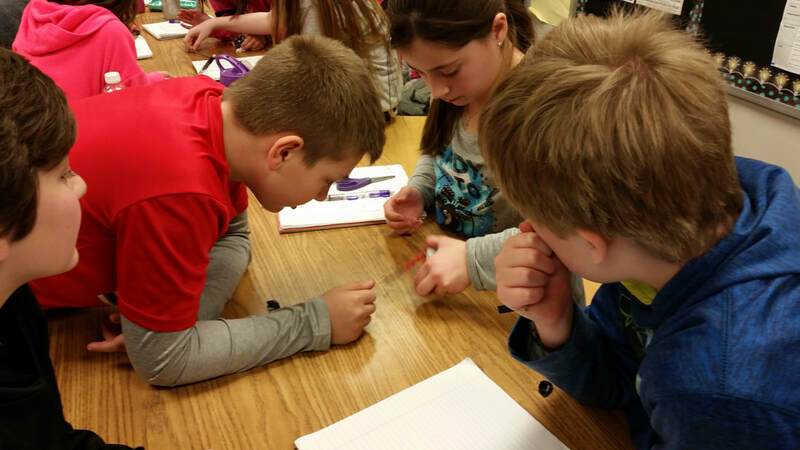 Fifth Grade: Water is flooding STEM Town, and the mayor has asked for you to put your engineering skills to good use. 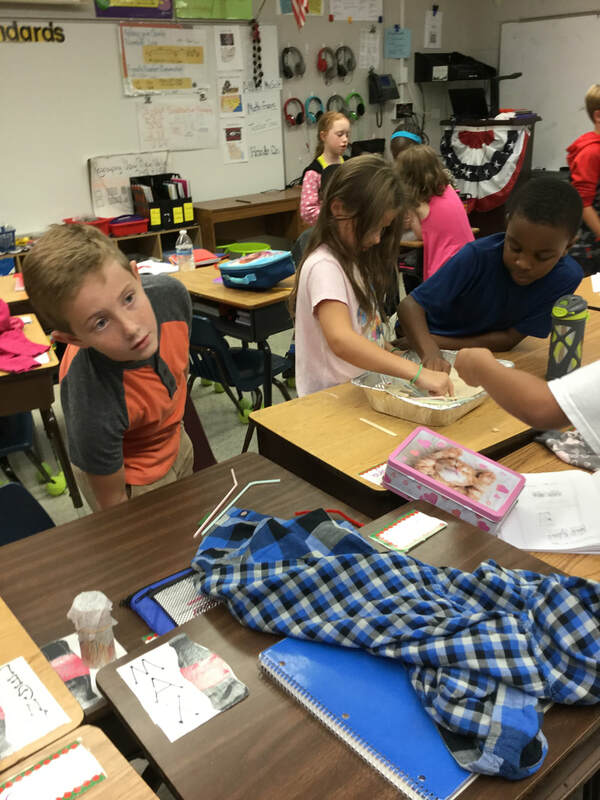 You need to design and build a levee which will prevent rising flood waters from reaching the town. 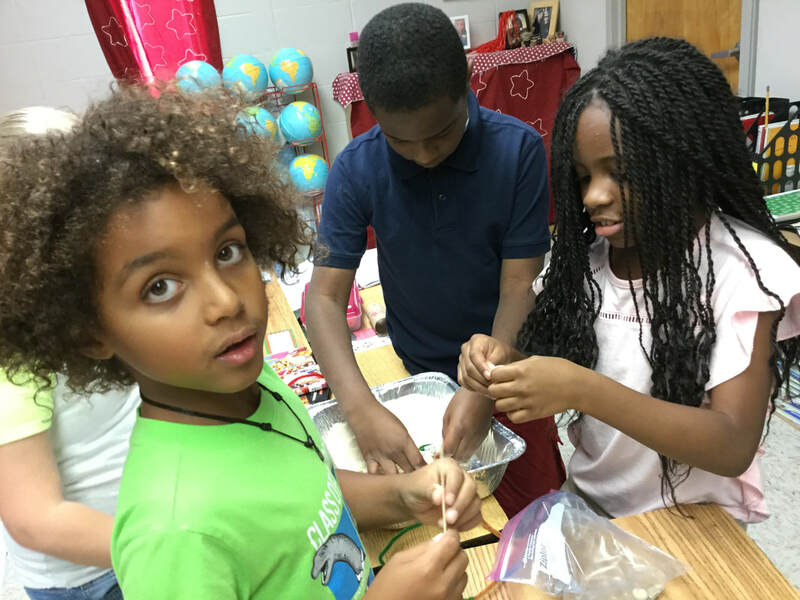 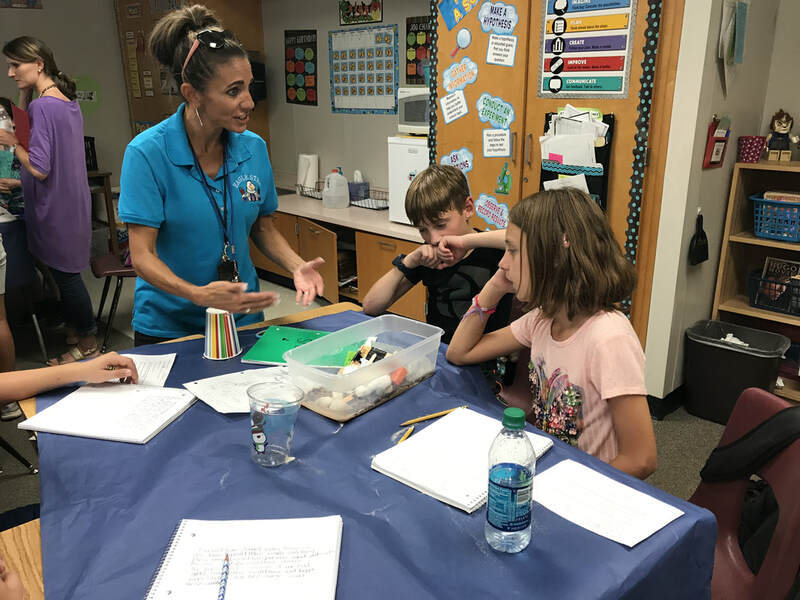 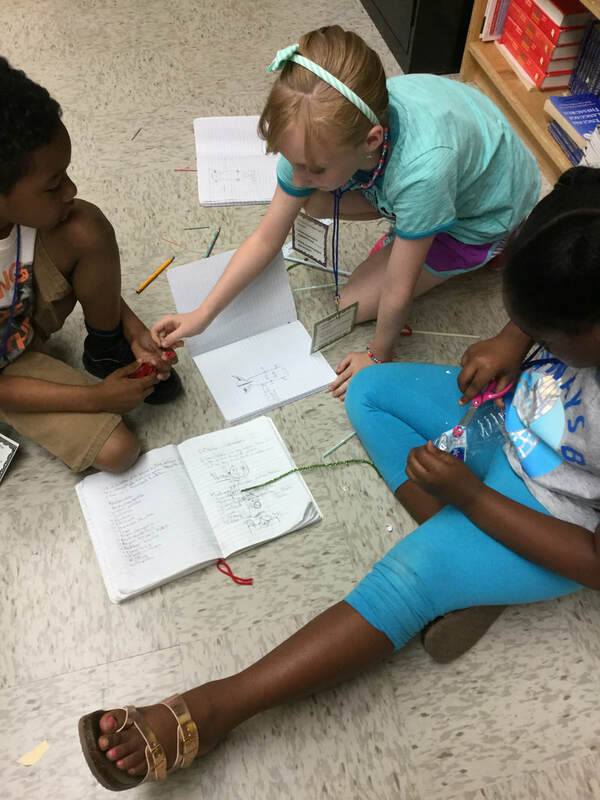 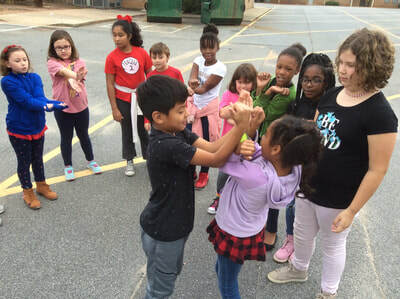 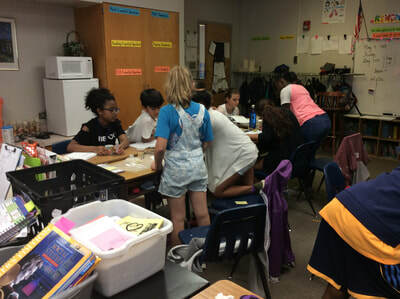 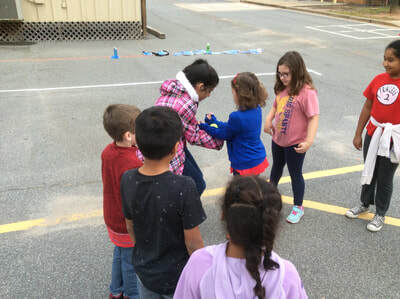 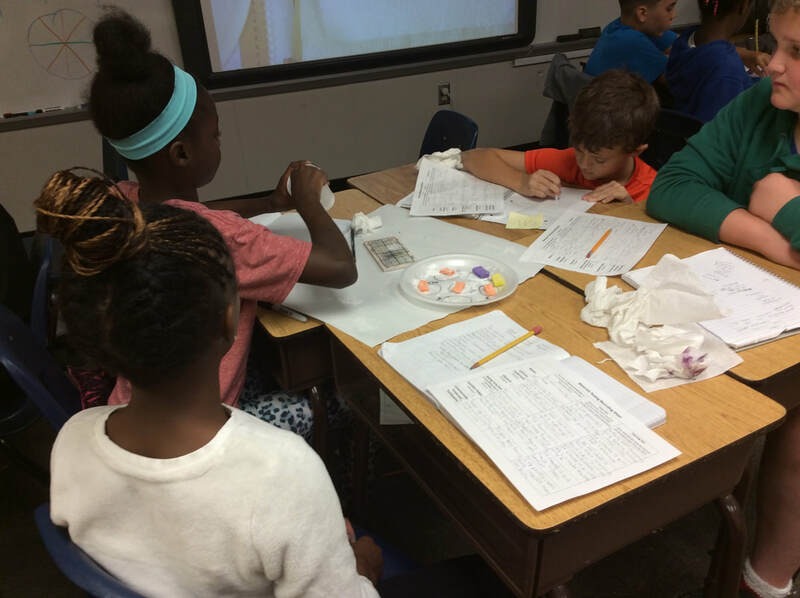 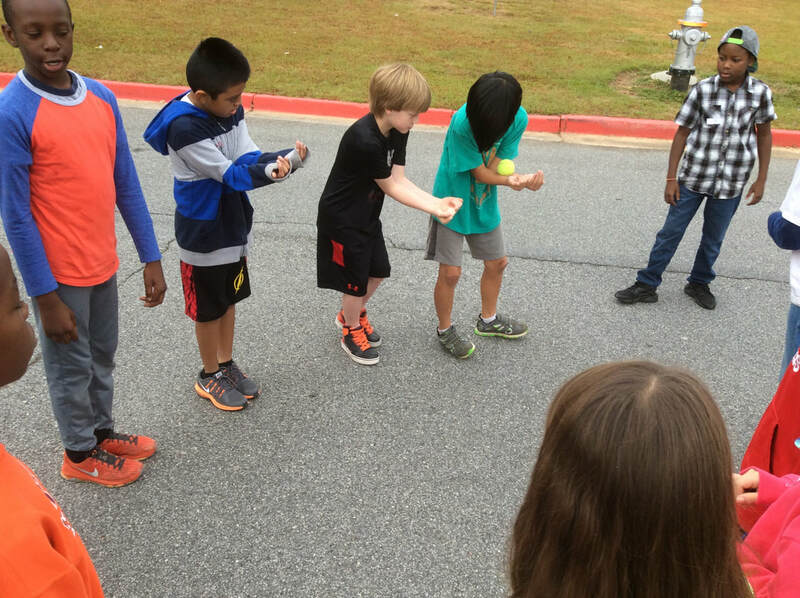 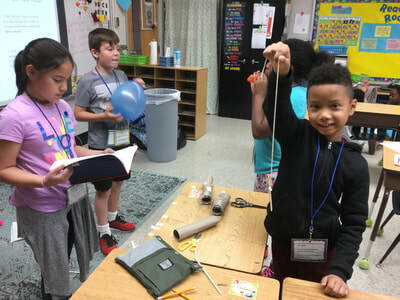 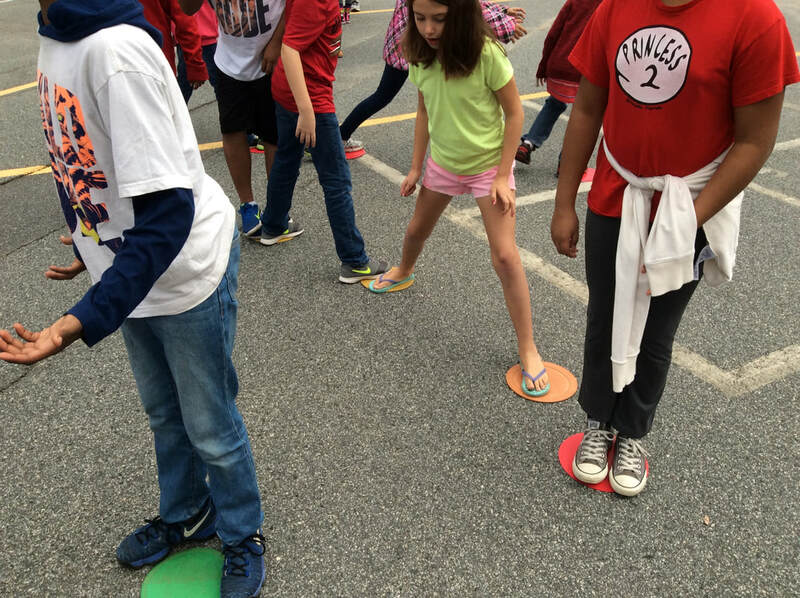 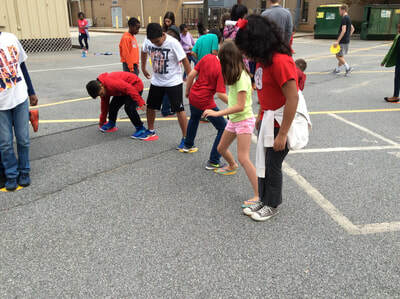 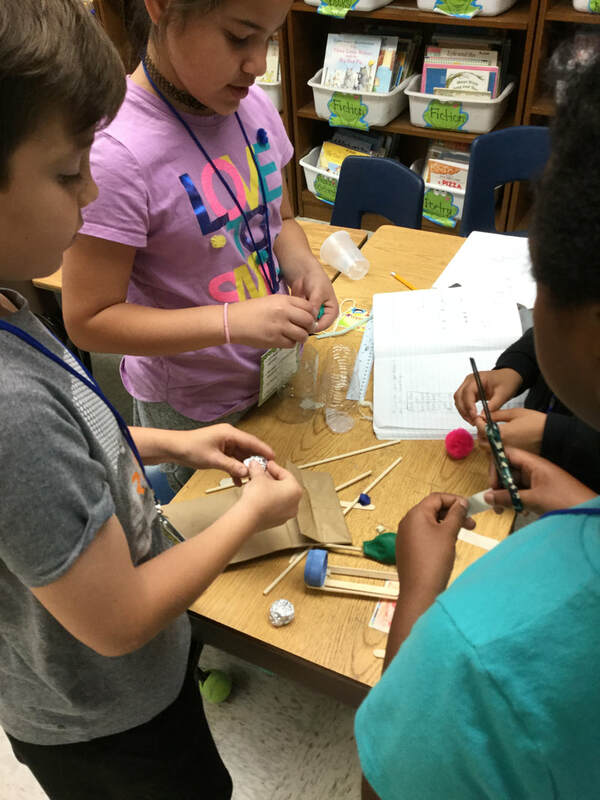 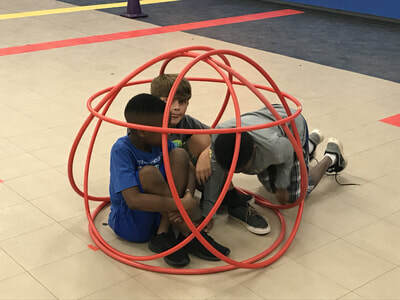 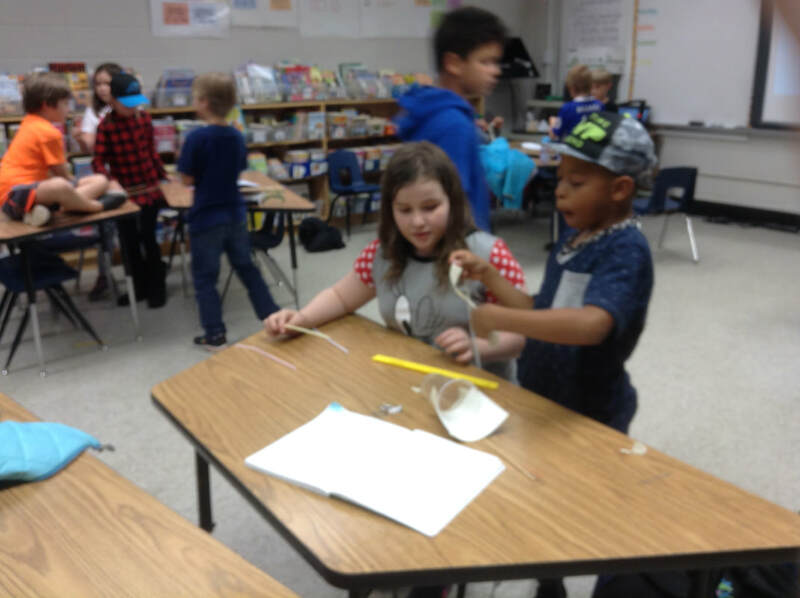 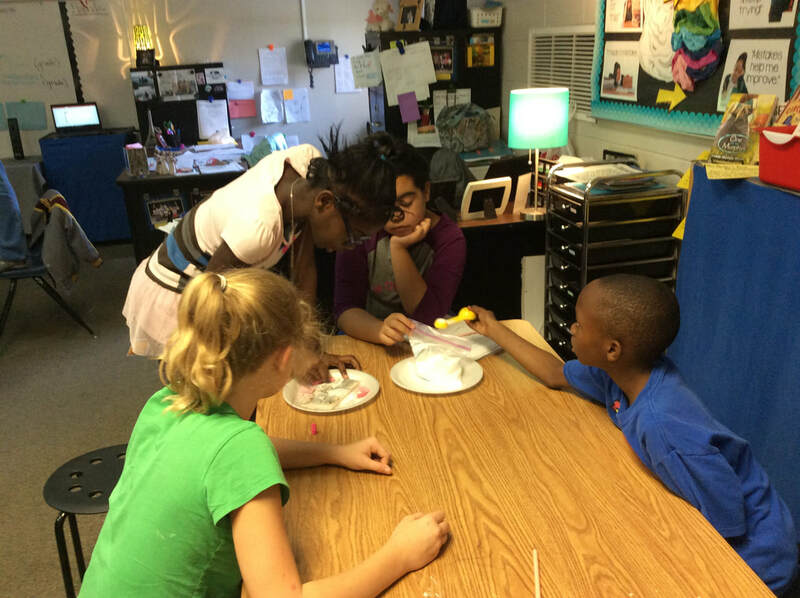 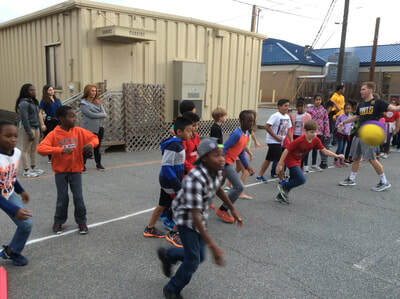 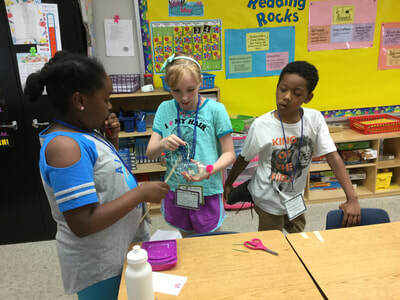 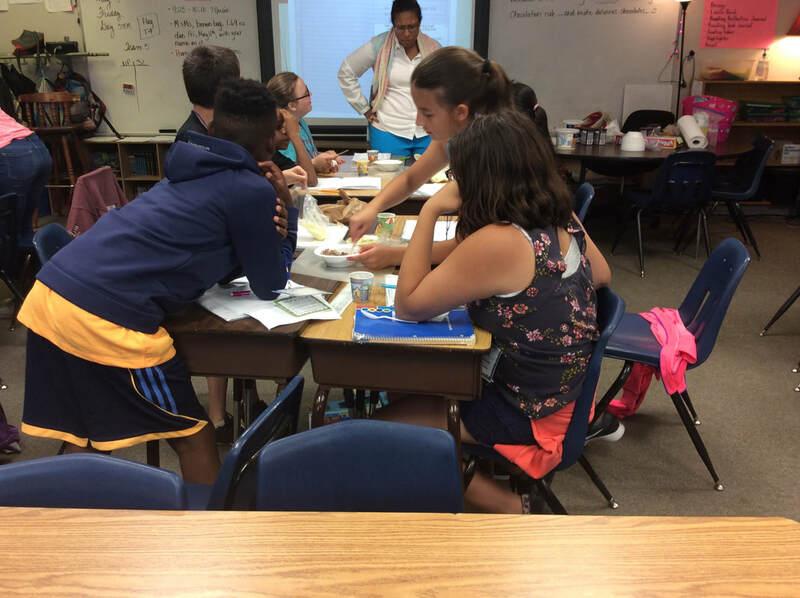 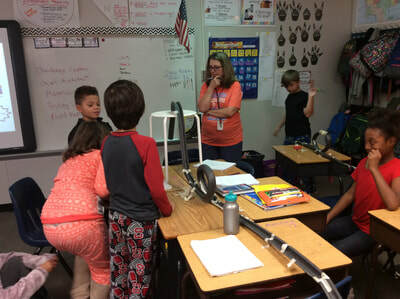 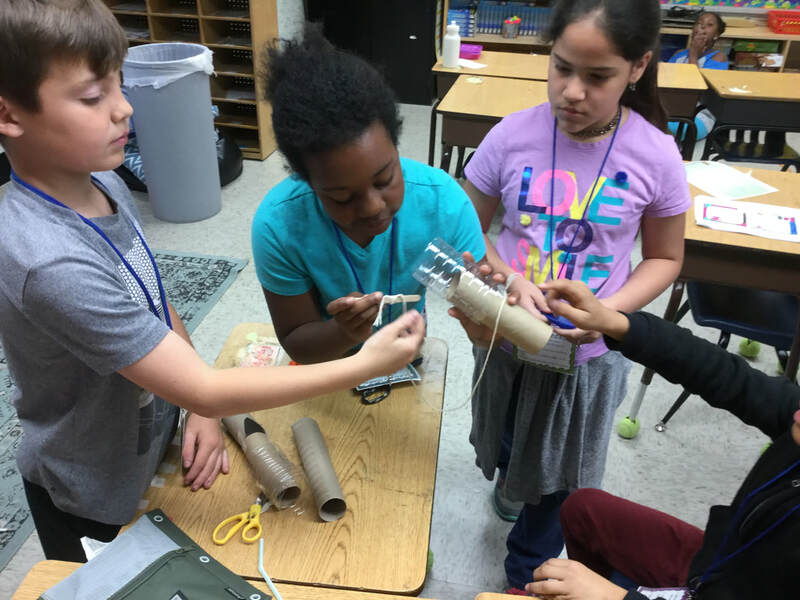 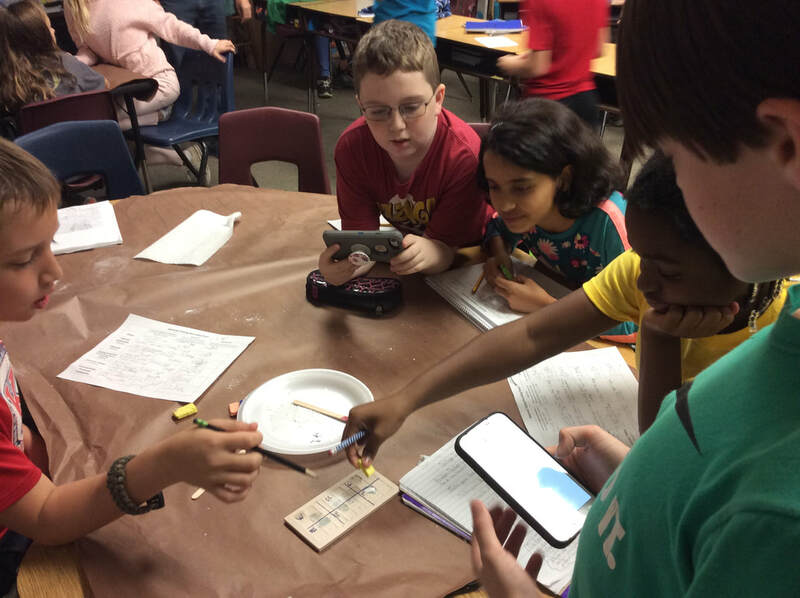 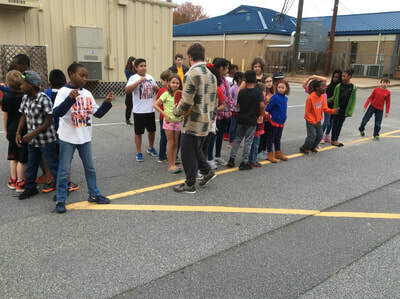 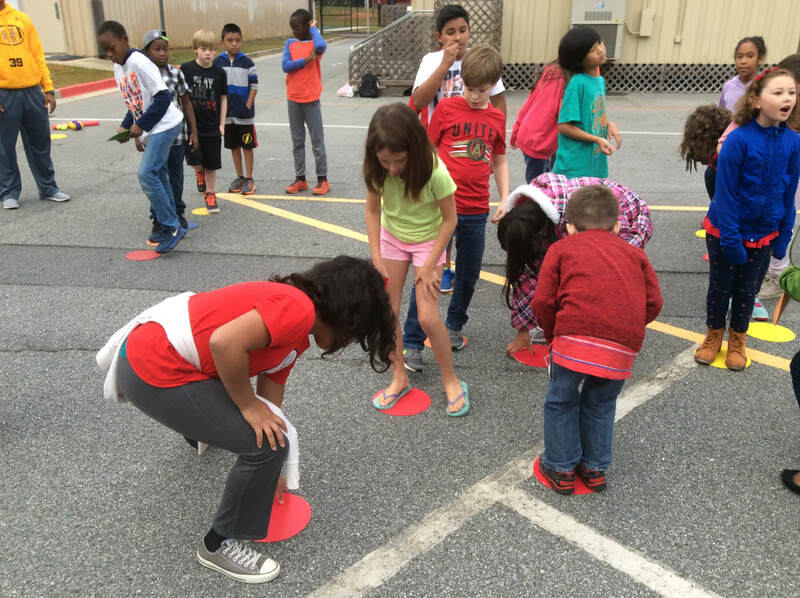 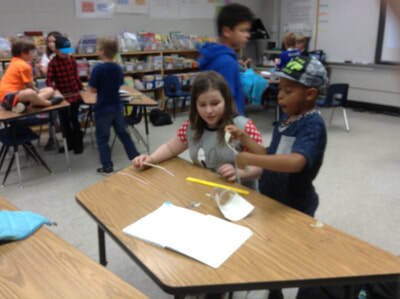 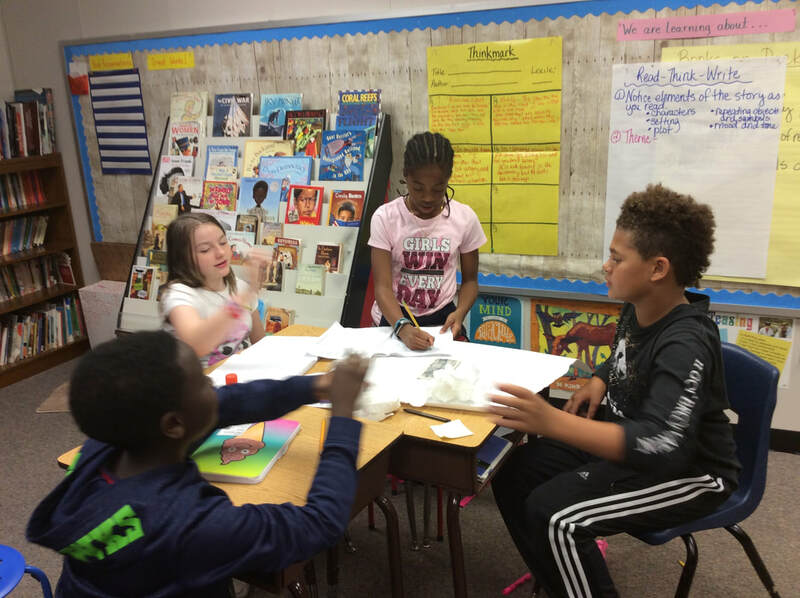 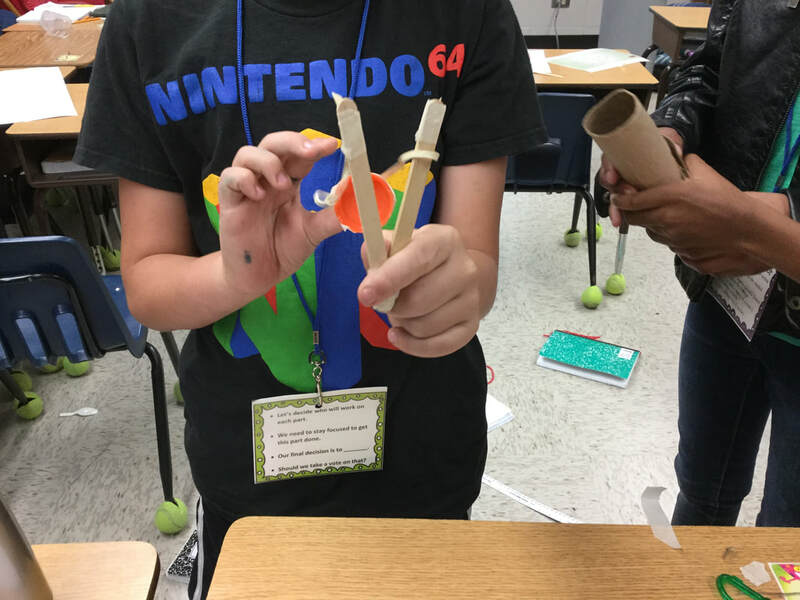 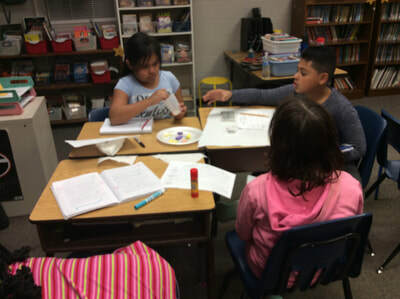 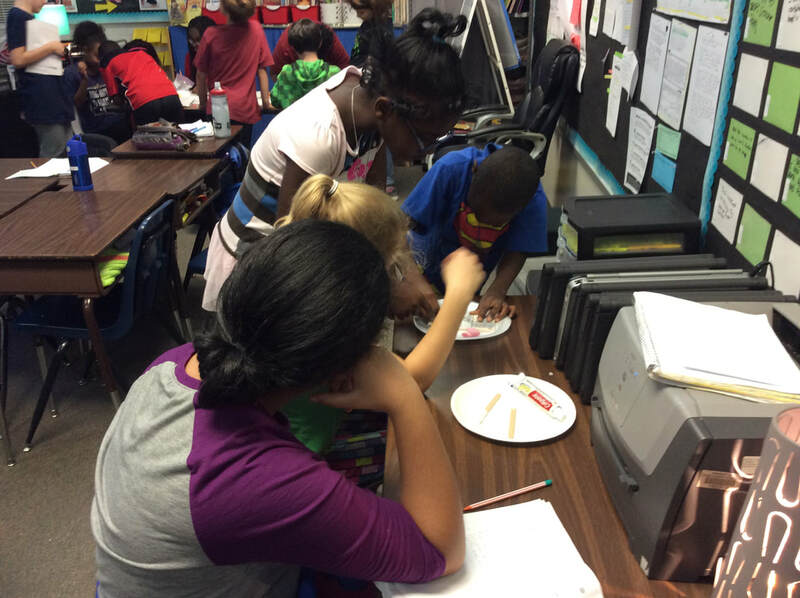 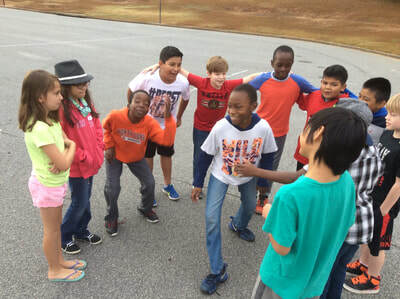 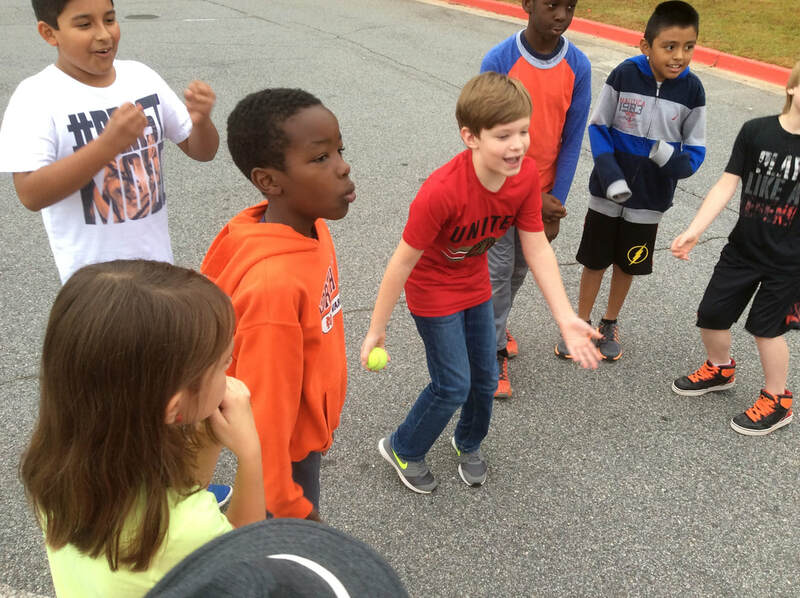 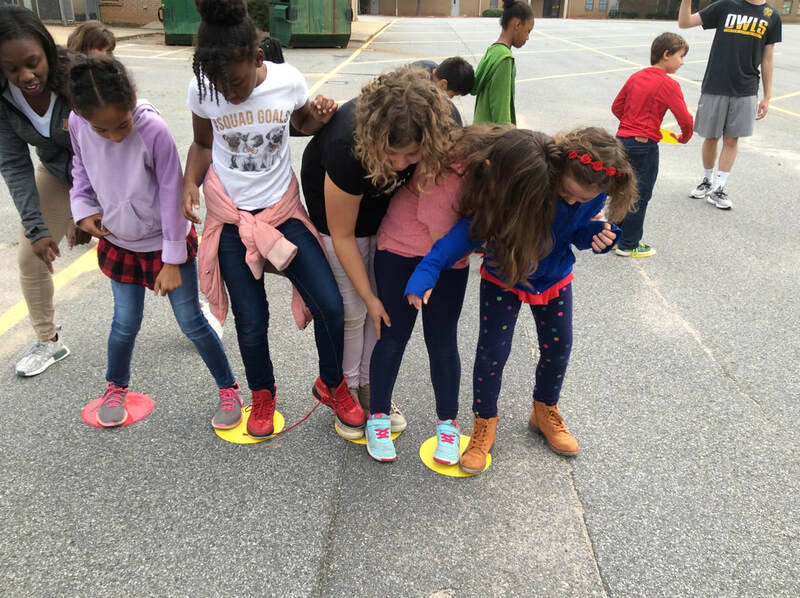 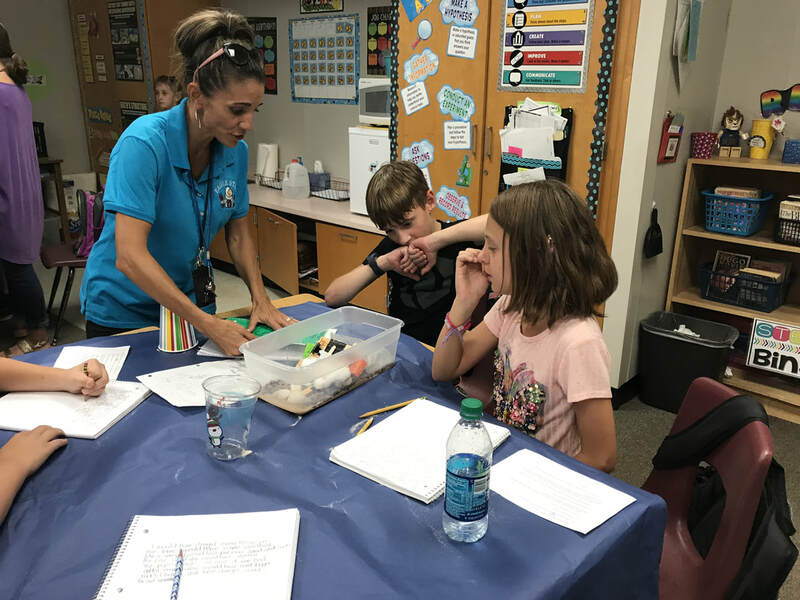 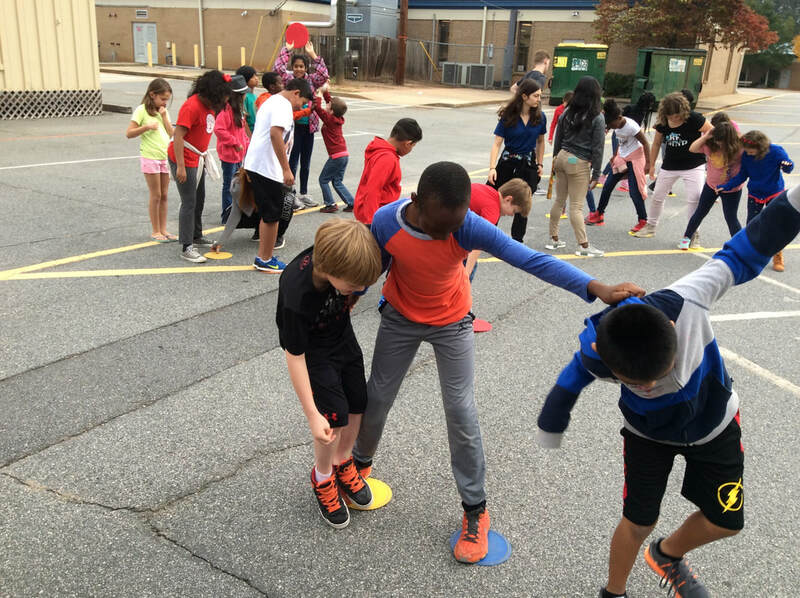 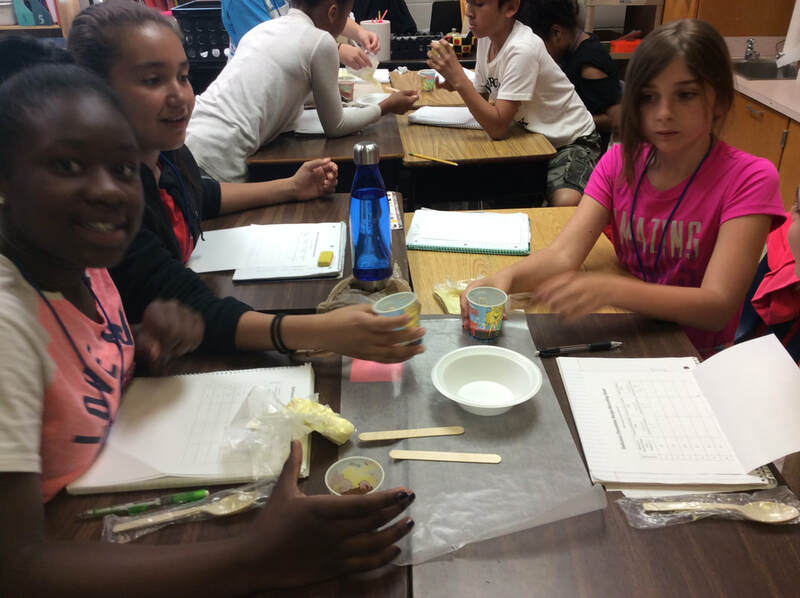 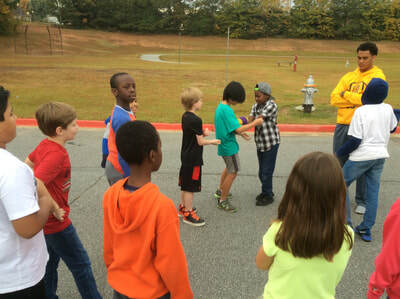 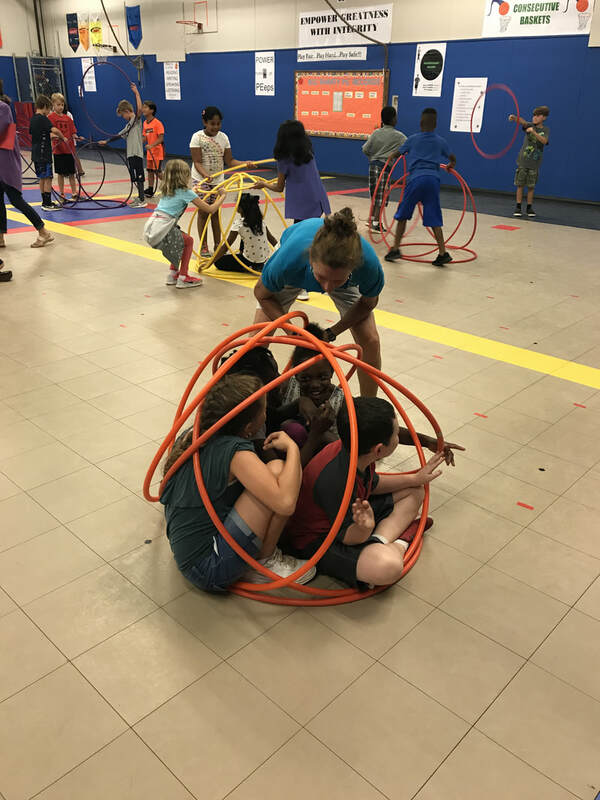 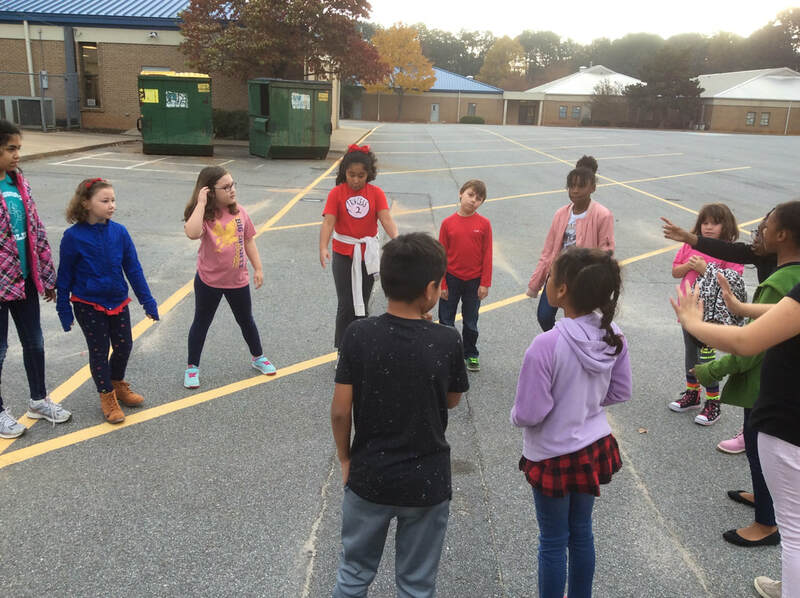 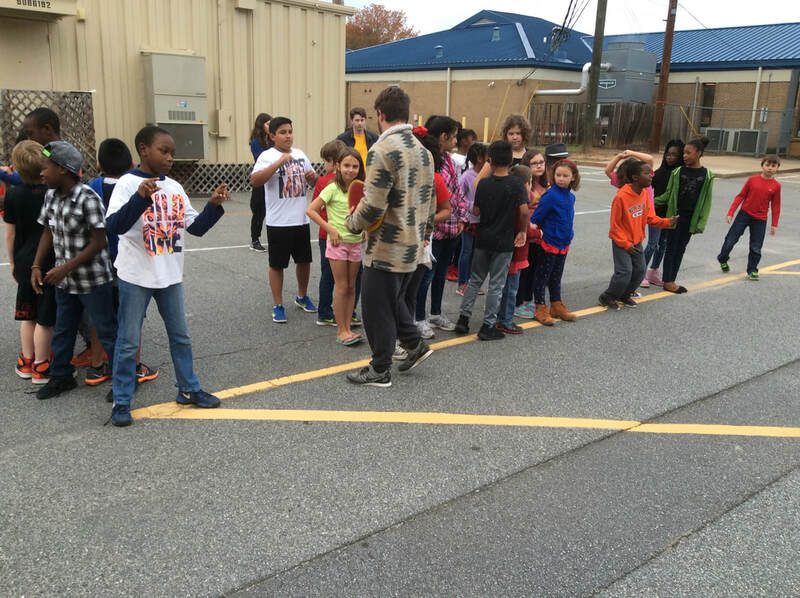 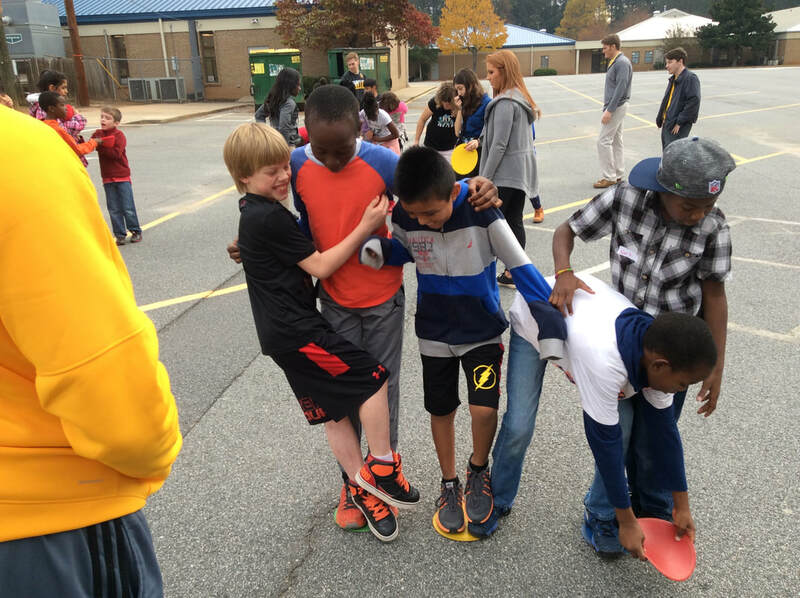 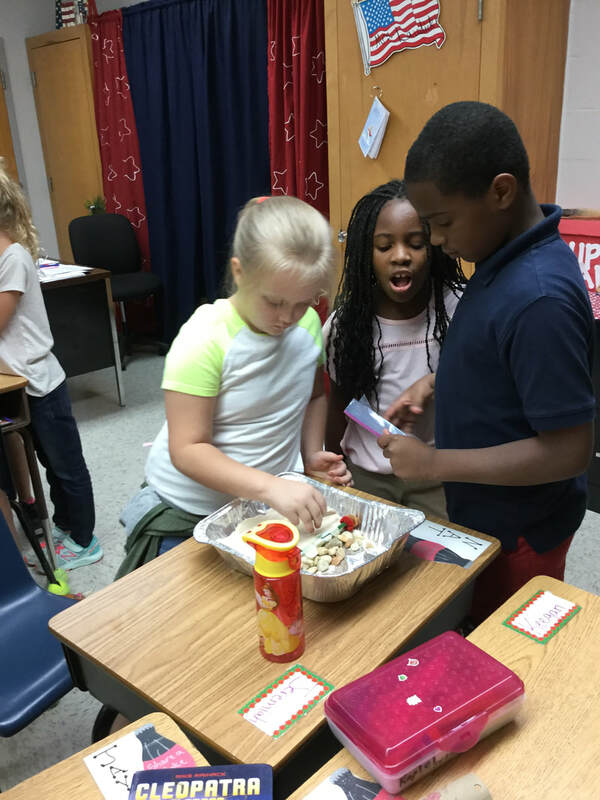 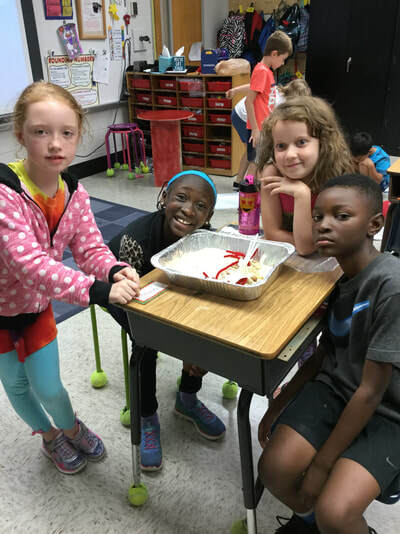 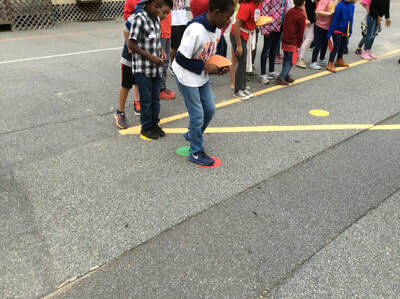 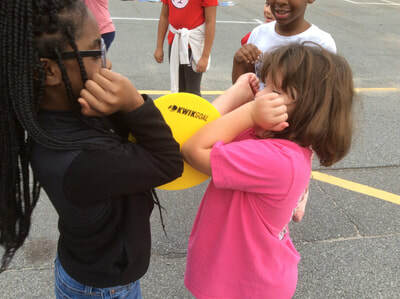 SPECIALS ROTATION (Music, Art, PE, STEM Lab): ​When students go to their specials rotation they are still engaged in STEM-related activities. 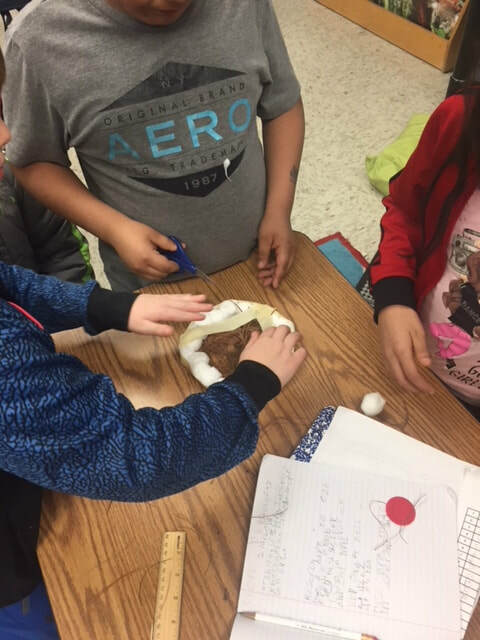 THIRD GRADE: You are a paleontologist working at Wind Cave National Park and your team has discovered some new fossils! There is a problem. 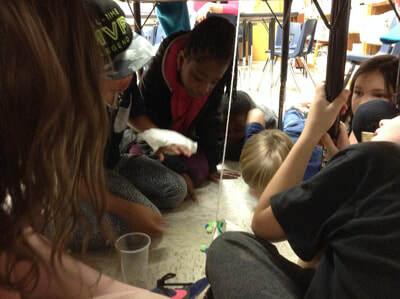 The fossils are located in a small crevice in a cave. 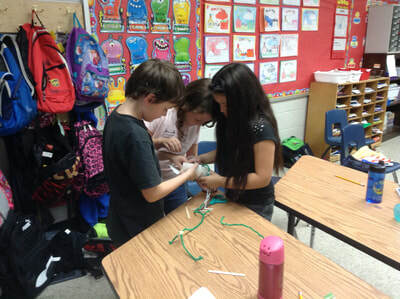 Your job is to design a structure that is no more than 6 inches wide and 1 foot tall. Your device needs to hold as many fossils as possible so it can be lifted out of the crevice, 3 feet into the air. 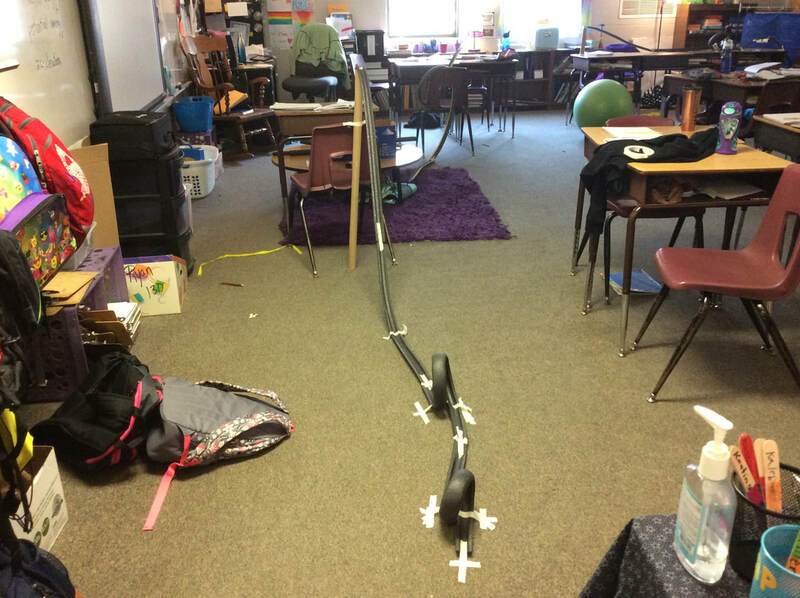 FOURTH GRADE: You have been selected by Six Flags to design and build a thrilling new roller coaster with drops, loops, and hills! 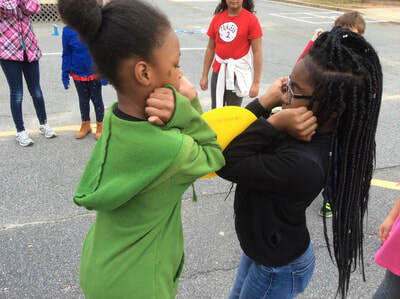 You will need to use your knowledge of force and motion and kinetic and potential energy to complete the task. 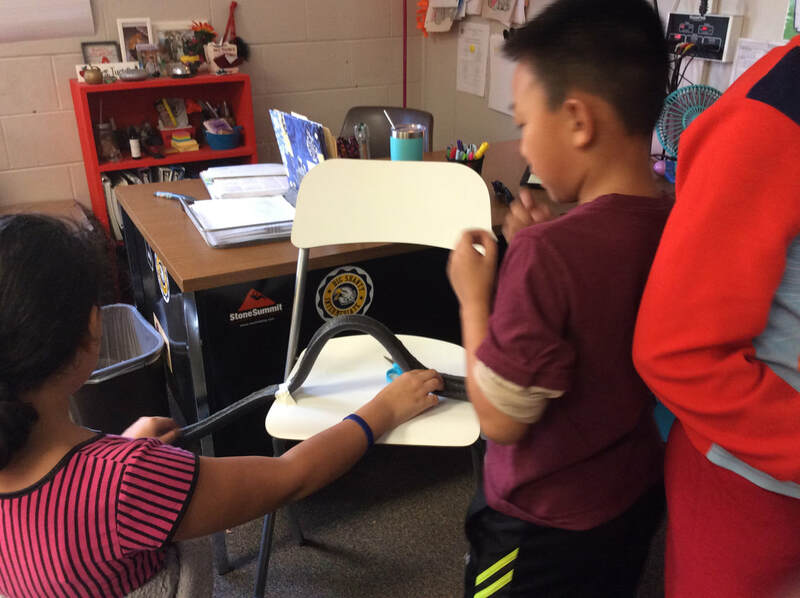 You will use a marble to try out the roller coaster. 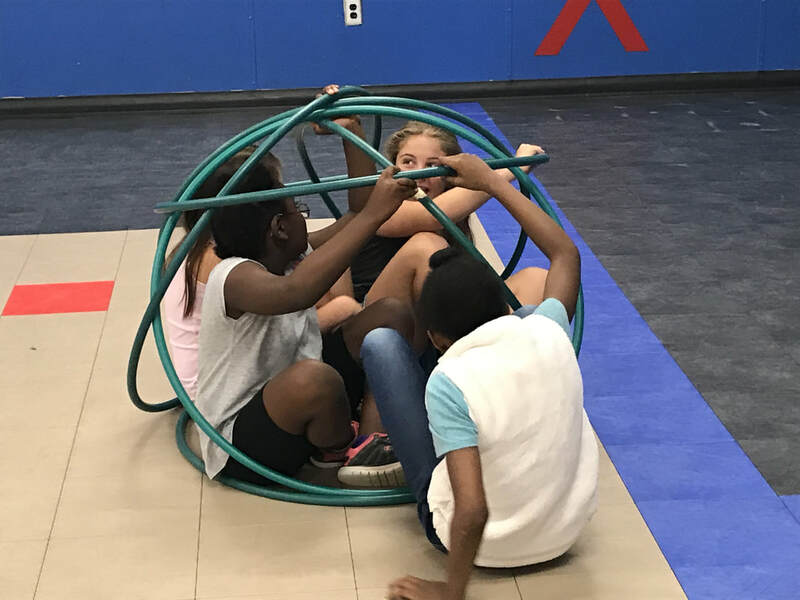 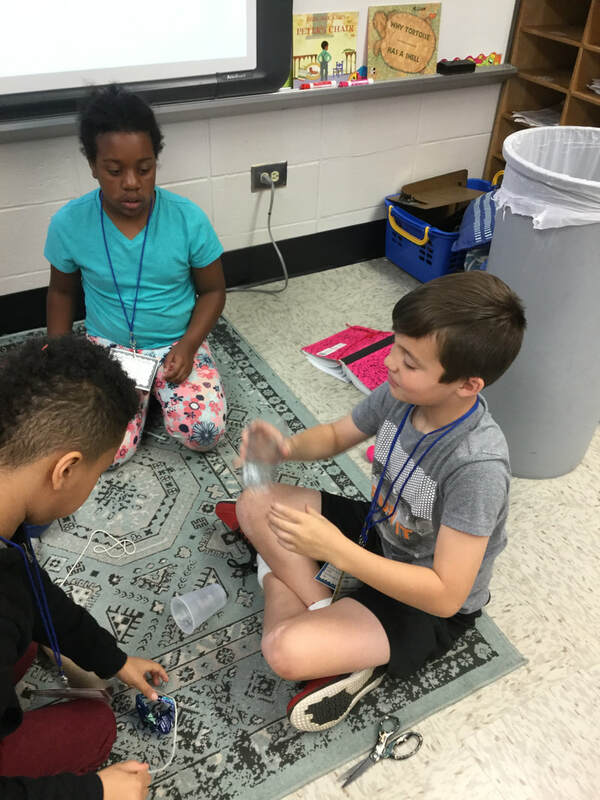 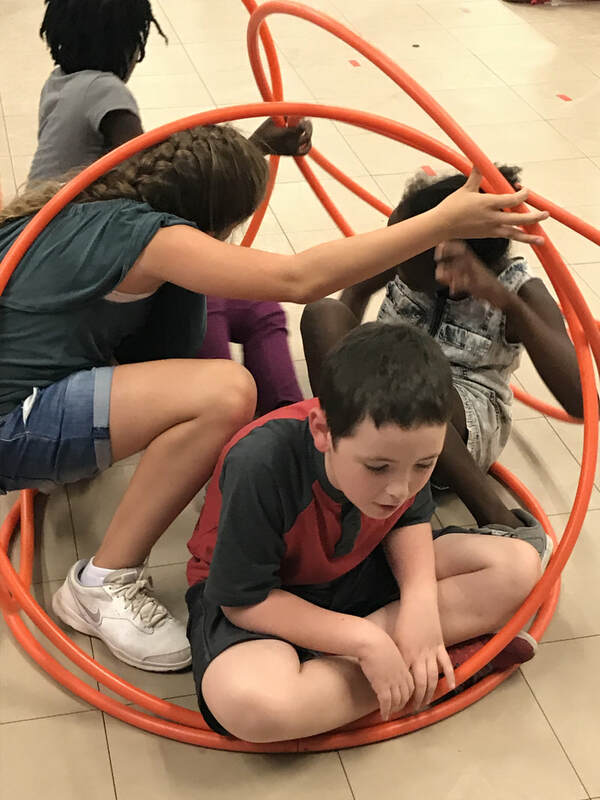 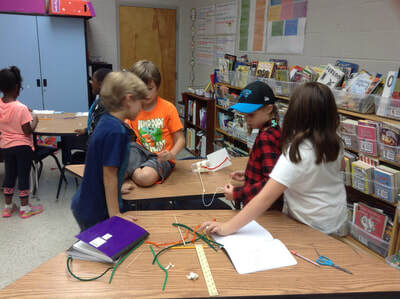 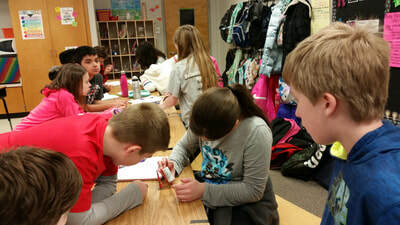 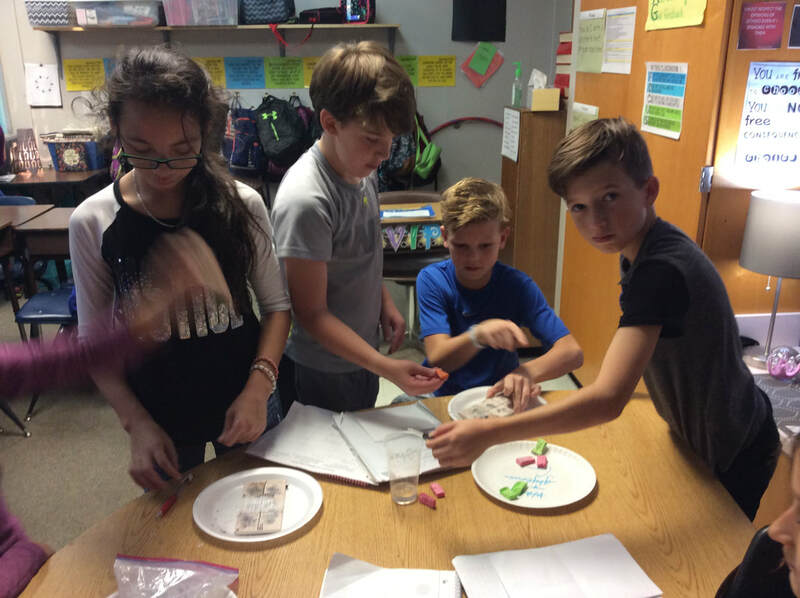 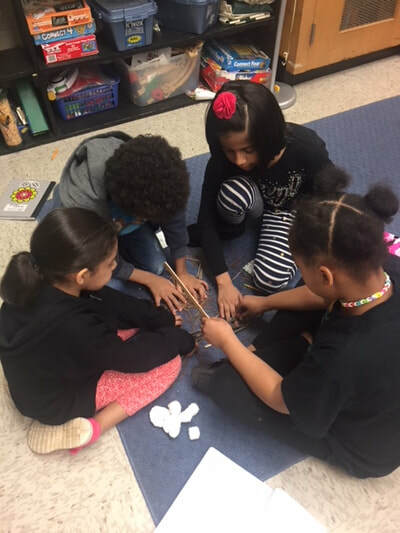 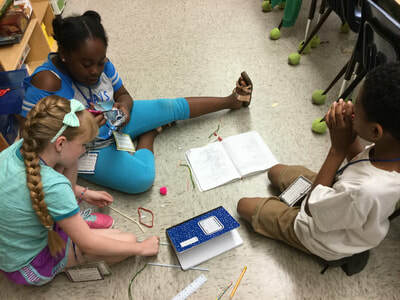 SPECIALS ROTATION (Music, Art, PE, STEM Lab): In addition to the homeroom STEM Challenges all students are engaged in STEM activities during their rotation times. 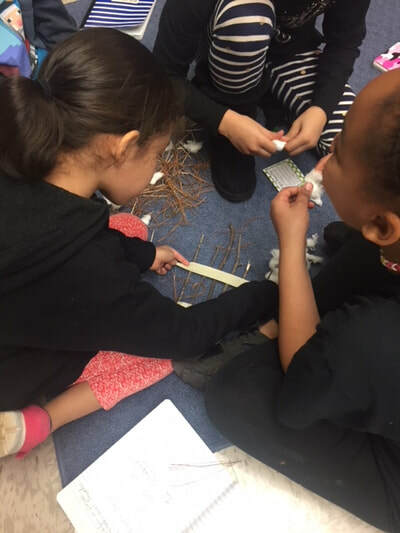 THIRD GRADE: ​You have been assigned to work with the National Wildlife Rehabilitators Association to assist with problems they are having due to deforestation. Many of the brown thrashers in Georgia are being harmed and losing their homes because the forests are getting cut down to build new things. Your job is to create a temporary living space for an injured brown thrasher so that it will have a place to stay until it is healed and can be placed back into the wild. The nest must be able to hold the weight and length of a brown thrasher, as well as protect it from harm while it is healing indoors. 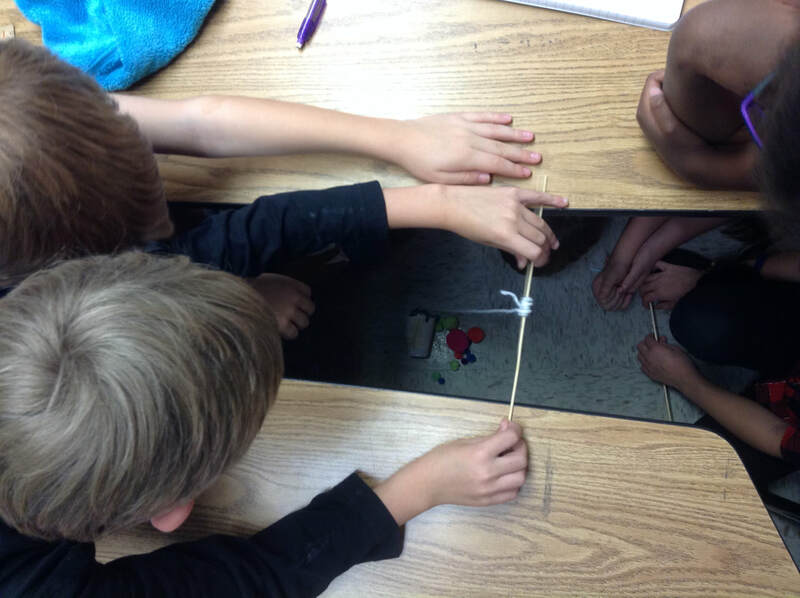 FOURTH GRADE: NASA is looking for young engineers with promising skills. 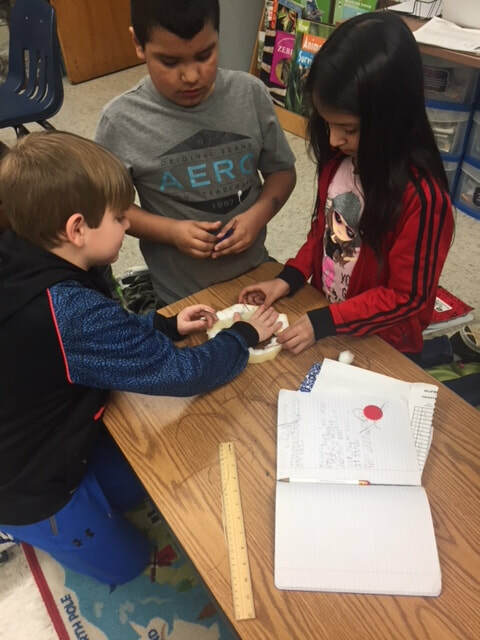 Your challenge is to create a soft landing system for a new exploration vehicle called The EGG! 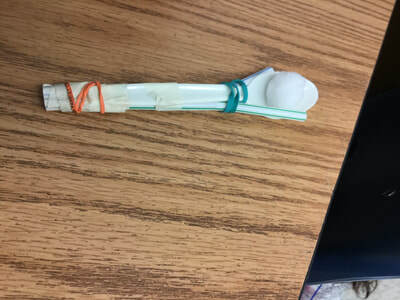 Remember, this is a very expensive piece of equipment, and it’s very important to keep it safe when it lands! 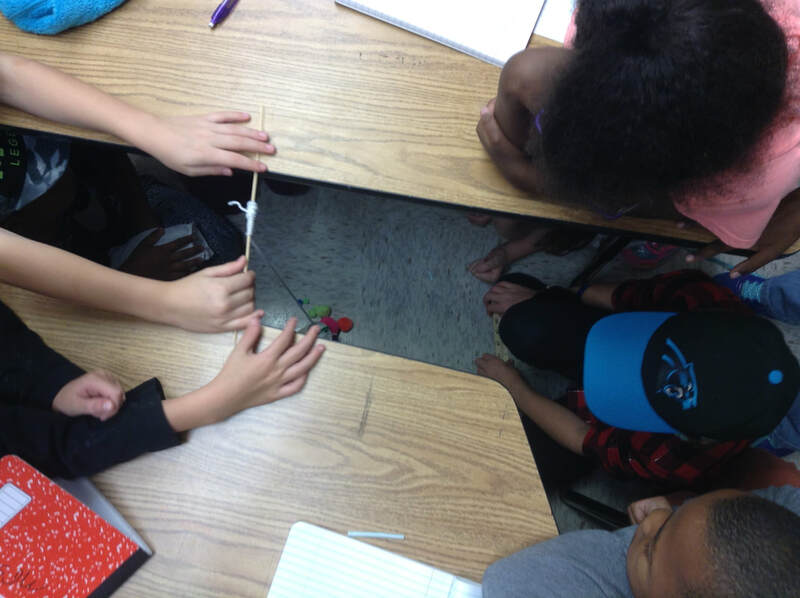 Think about what you have learned about forces & motion as you work. 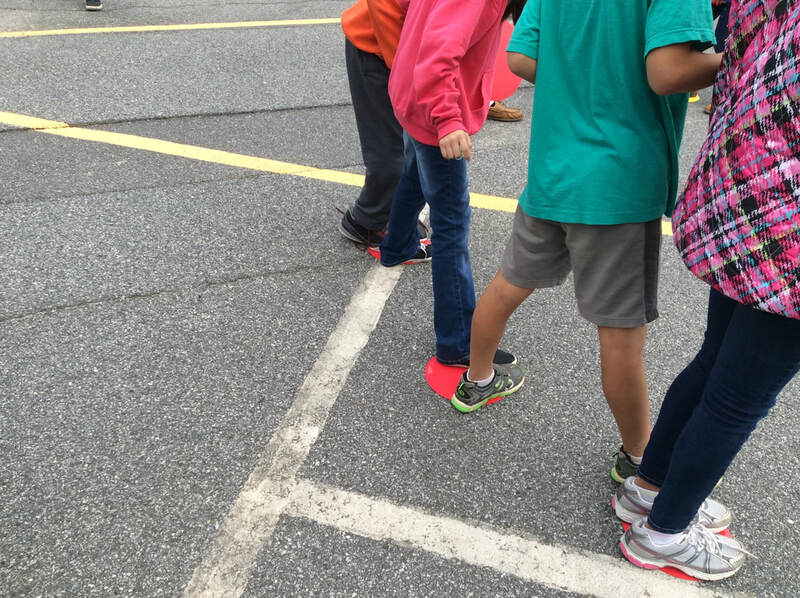 Be ready to share the area & perimeter of your landing device. 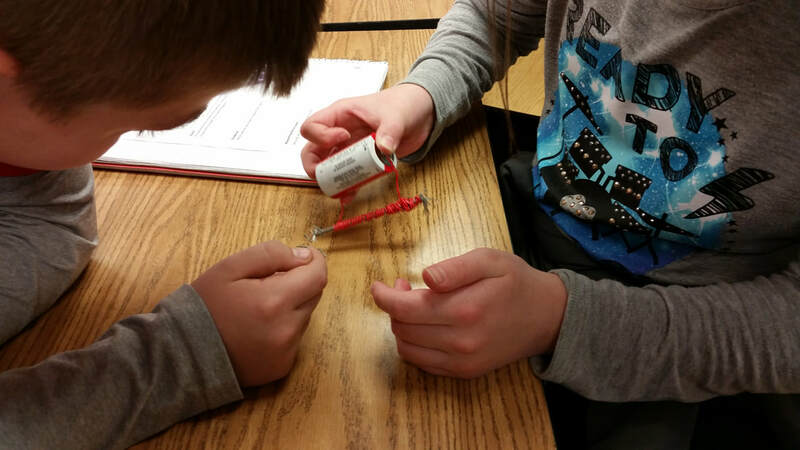 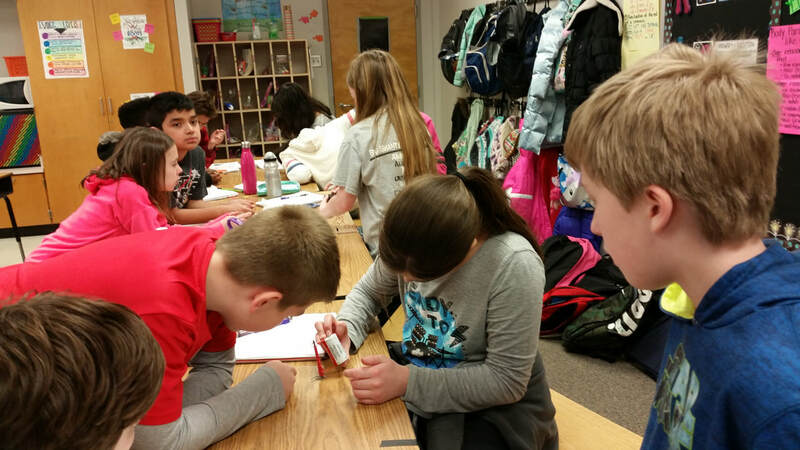 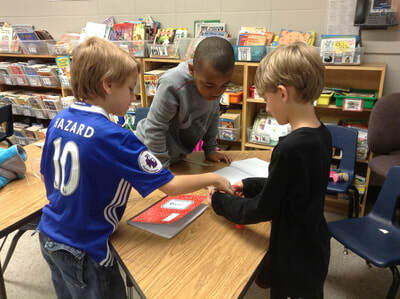 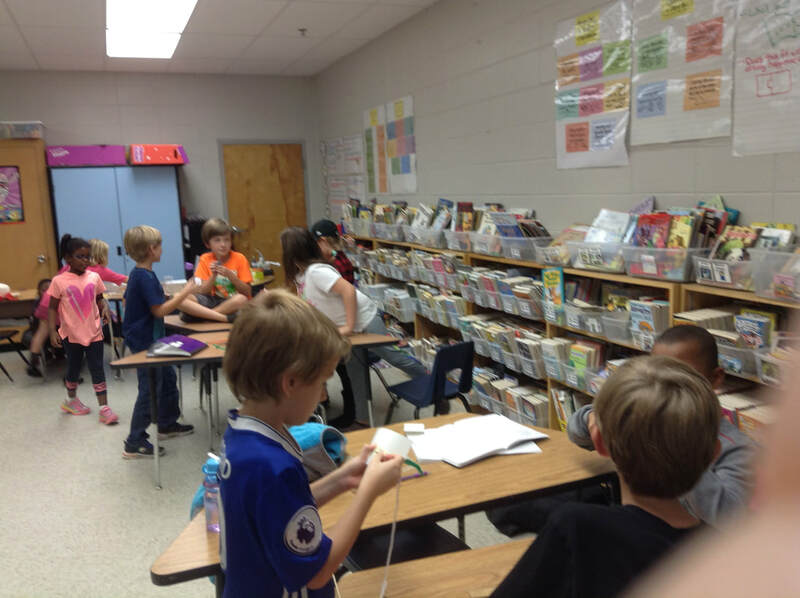 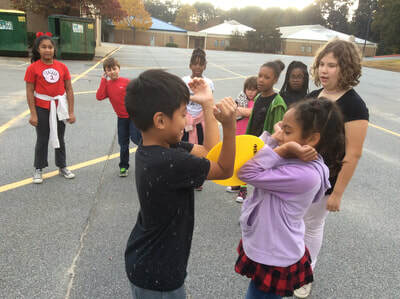 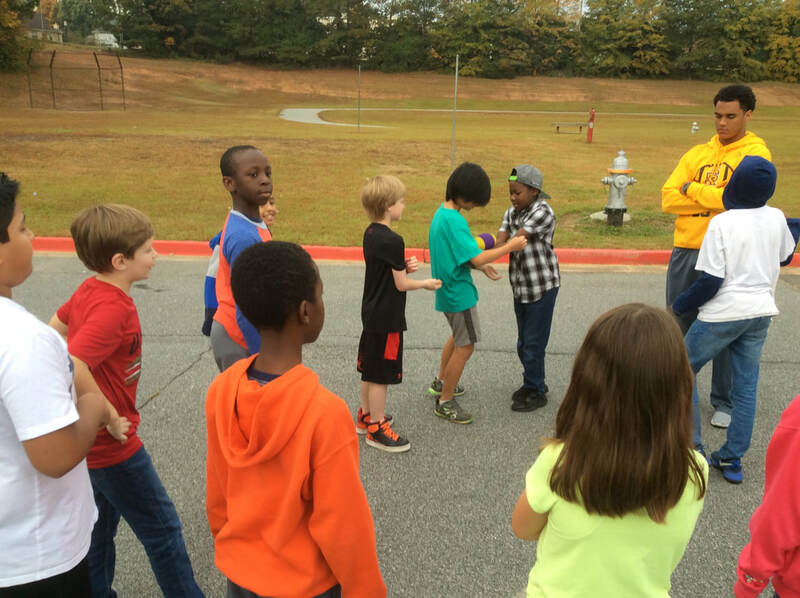 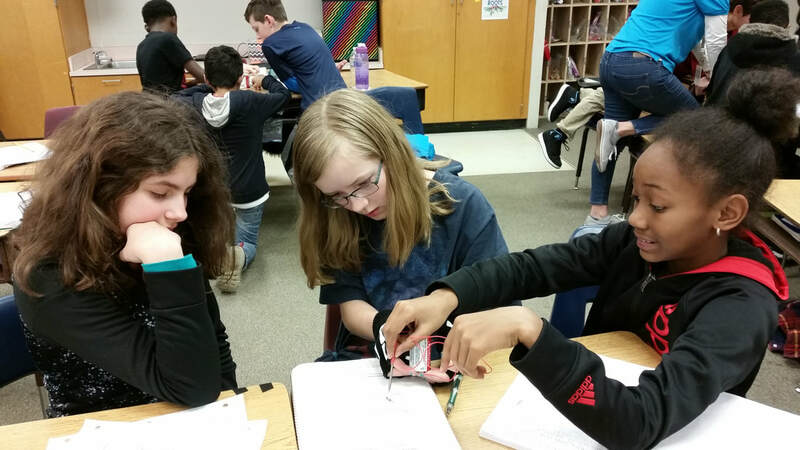 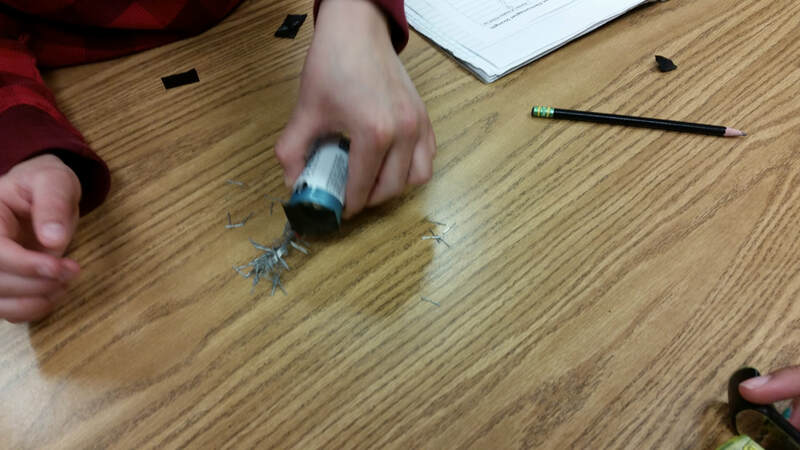 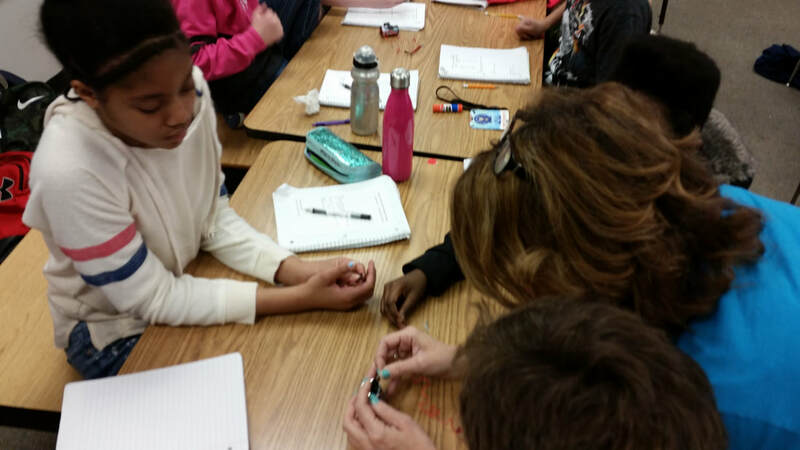 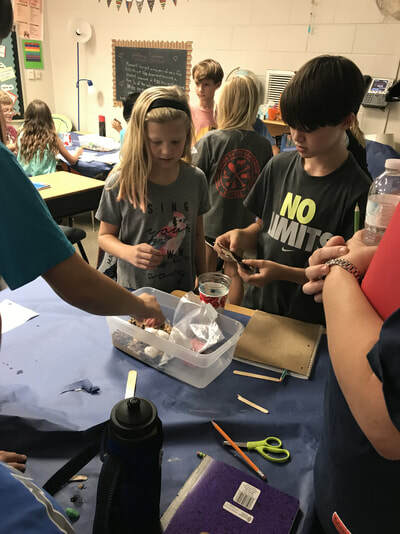 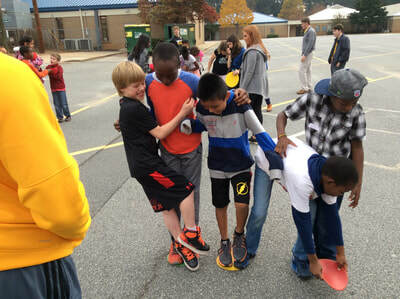 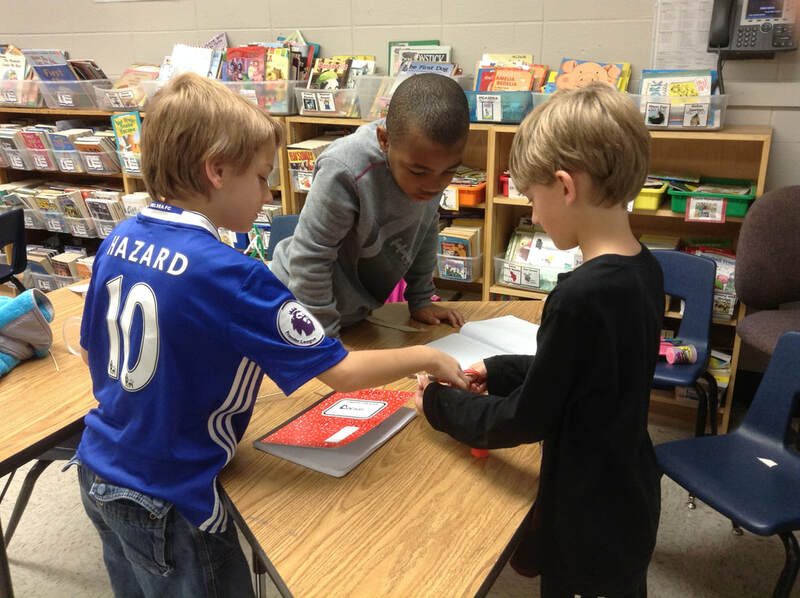 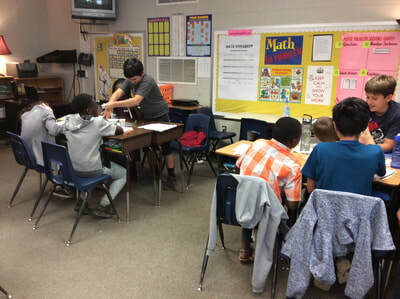 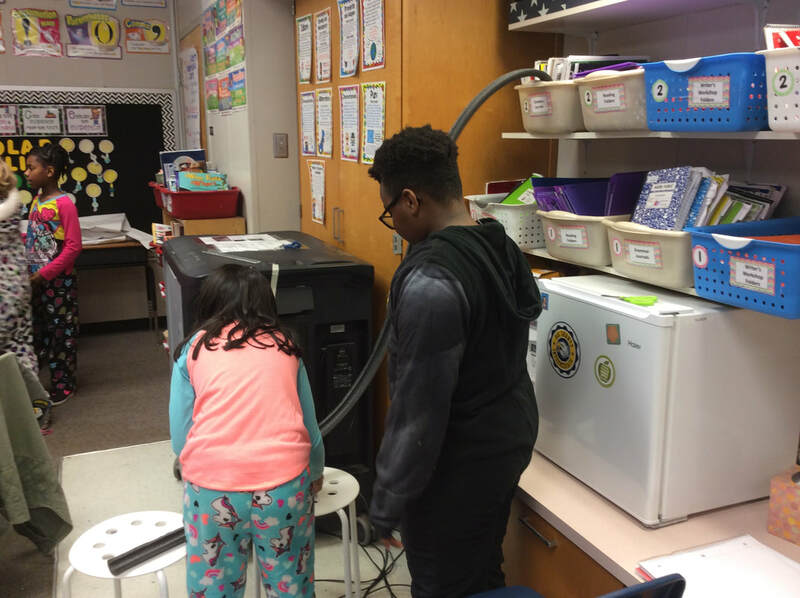 FIFTH GRADE: ​The Cobb County Recycling Center uses an electromagnet to help sort the recycling materials it receives. 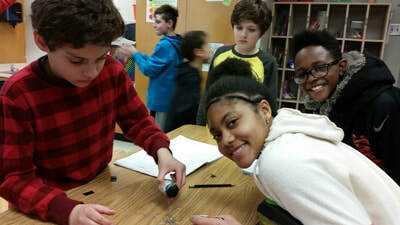 The center is considering upgrading the electromagnet it currently uses so that it can pick up more magnetic waste, but they need some help. 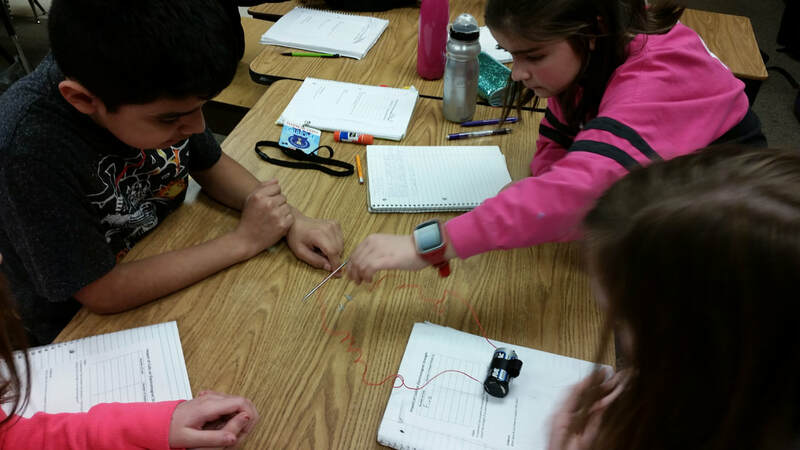 Your job is to design an electromagnet that will attract as much magnetic material as possible. 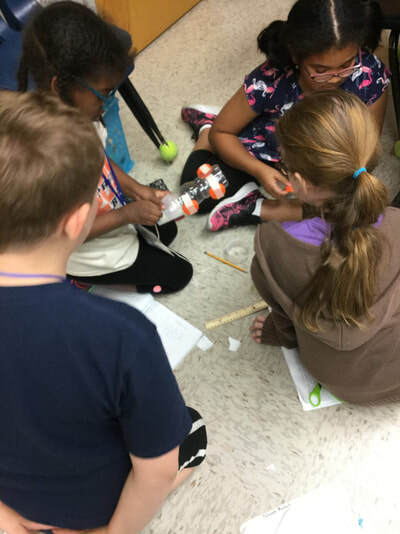 Due to the experience of having done pre-designed STEM challenges all year, teachers were now ready to design their own class STEM challenge. 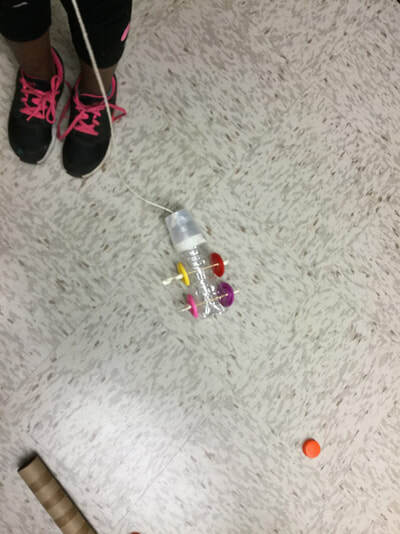 The results -- lots of commitment, very creative, and FUN! 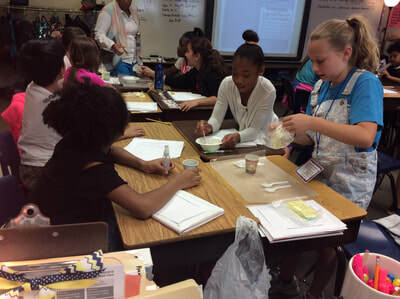 For example one fifth grade teacher's challenge: "Make the Most Delicious Chocolate." She read "Willy Wonka and the Chocolate Factory" the week prior to the challenge, students watched cooking lessons on making chocolate and read different recipes. 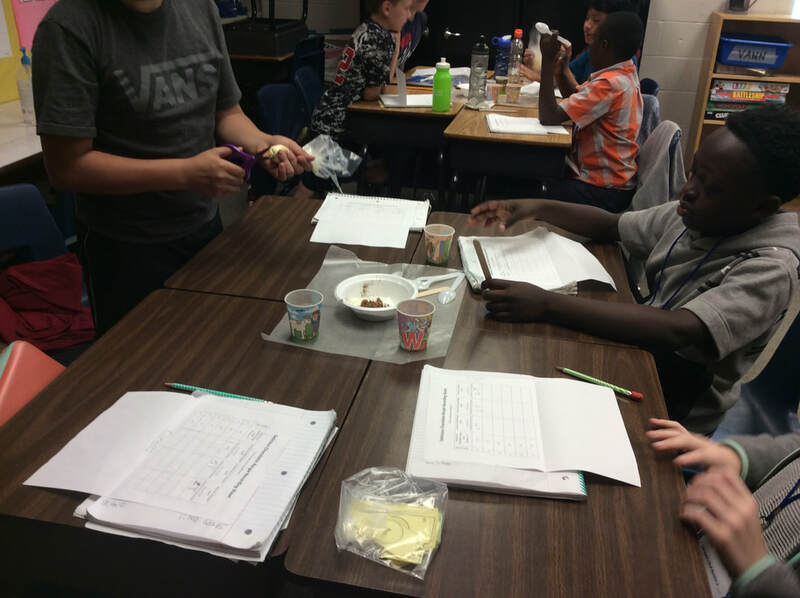 They had to experiment with varying ingredients and work within the constraints of the challenge. 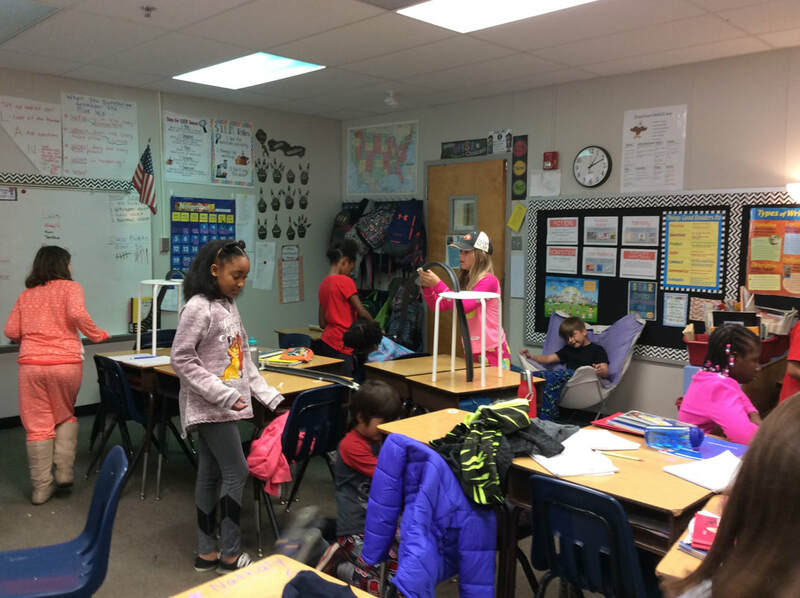 Another example, some third grade teachers' challenge was for students to create some fun toys since Toys-R-Us went out of business (photos in second gallery below).